NORTH EASTON, Mass. 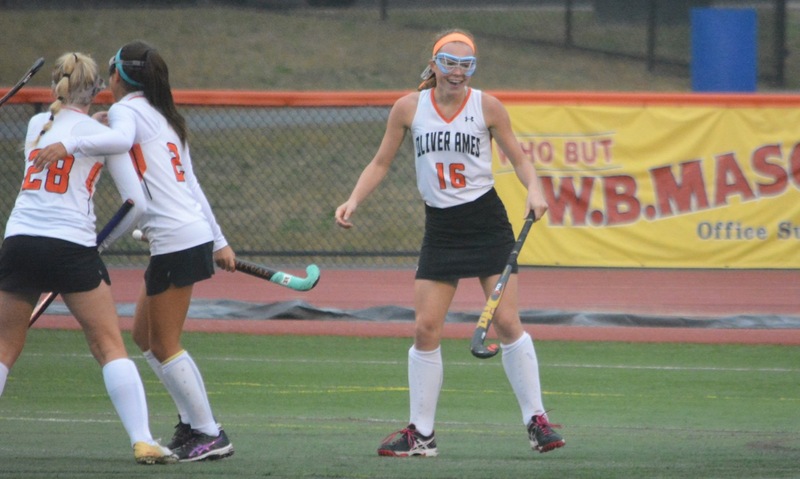 – Heading into the postseason, Oliver Ames first year head coach Abby Tepper was ready to switch things up. The Tigers had won just two of their final fives games so Tepper elected to meet with her captains and come up with a formation change. The change worked as Oliver Ames put in a strong performance and came away with a 2-0 win over Durfee in the MIAA D1 South Preliminary Round. The Tigers will now take on #2 Walpole. Tepper elected to go with four defenders instead of the three that the Tigers had deployed throughout the regular season. Tepper brought Sydney Hedrick, who had played forward during the regular season, to the back line. That switch limited the visiting Hilltoppers to just a single shot on goal throughout the entire game and limited offensively opportunities beyond that. “Sydney has been playing forward this season, she’s one of the changes in the formations,” Tepper said. “I sat with the captains [Kendall Clifford and Katie Davenport] and told them I wanted to change the formation. I wanted to collaborate with them. Sometimes I can’t see or hear things that they can on the field. Oliver Ames nearly got on the board less than two minutes into the game off a penalty corner. Sarah Stevens dished the ball out to Dimitra Efremidis, who chipped her shot but the ball looped off the crossbar and stayed out. While the Tigers controlled the majority of play, thanks in part of Davenport and Hedrick thwarting any Durfee attack, it took until the midway point of the first half for Oliver Ames to break through. It looked like Durfee had stopped another Tiger attack and tried to clear the ball but Efremidis positioned herself well and took position of the ball. She ripped a shot into the area where Cristina Boudreau deflected the shot perfectly into the back of the cage to make it 1-0. The Tigers registered one more chance with just over seven minutes to play in the first half, again using a penalty corner. Stevens dealt the pass to Kendall Clifford but her shot went just wide at the far post. Early in the second half, the Tigers had to do without Clifford after an injury. Five minutes later, Durfee found its best chance of the game. The ball was knocked into the attacking area for the Hilltoppers and freshman Julia Kelly had an open look from in close but OA goalie Katie Vamosi came up with a point blank kick save to preserve the lead. 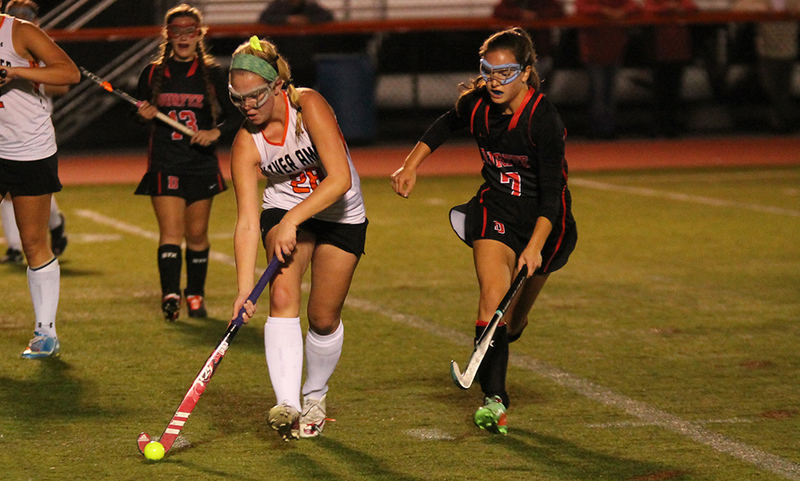 Just over five minutes after that save, Oliver Ames field hockey was able to get its second goal of the game. After Durfee’s goalie made a diving save to deny a chance at the near post, the ball popped out to Sarah Stevens on the right side of the area. She quickly centered it back to the middle where Efremidis swatted it in for a 2-0 lead. Efrremidis finished with a goal and assist in the game. Even with Durfee pushing numbers forward over the final 10 minutes, the Hilltoppers were unable to register a serious scoring chance thanks to Oliver Ames’ defense. Next up, the Tigers will travel to #2 Walpole on Friday at 4:00. The Porkers are the defending D1 South Sectional champions and have been, historically, the top program in the area. Mansfield, 1 @ New Bedford, 1 – Final – Mansfield’s Ethan Brill-Cass stole the ball from New Bedford 35 yards away from goal and placed a shot to the far post to net the Hornets’ goal of the game. Nick Ferraz made his first start in goal and made 10 saves. 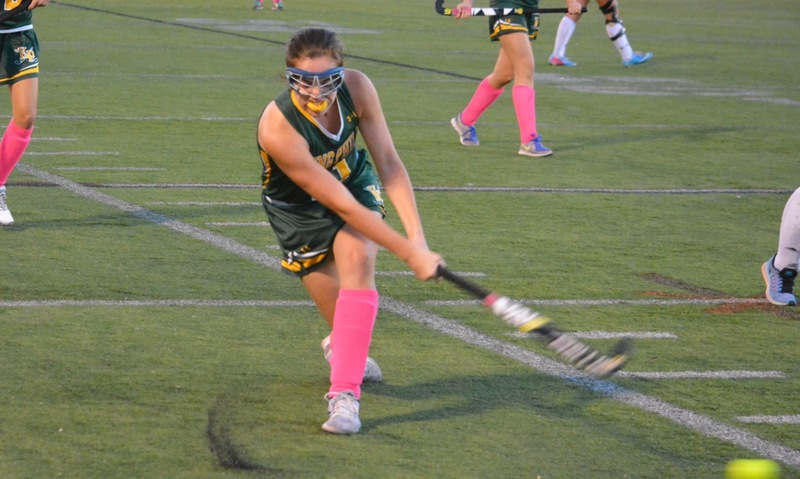 King Philip, 2 vs. Bishop Feehan, 2 – Final – Avery Snead tied the game at 1-1 with a goal off a corner by Emma Corcoran and Chloe Layne tied the game at 2-2 just before halftime off an assist from fellow freshman Makayla Griffin. Emma Durant made a save with seconds left on a Feehan breakaway to preserve the draw. Oliver Ames, 3 vs. West Bridgewater, 0 – Final – Sydney Hedrick, Dimitra Efremidis and Shannon Cahill each scored a goal as Oliver Ames blanked West Bridgewater. Meaghan Rockey, Kendall Clifford and Efremidis each had an assist.